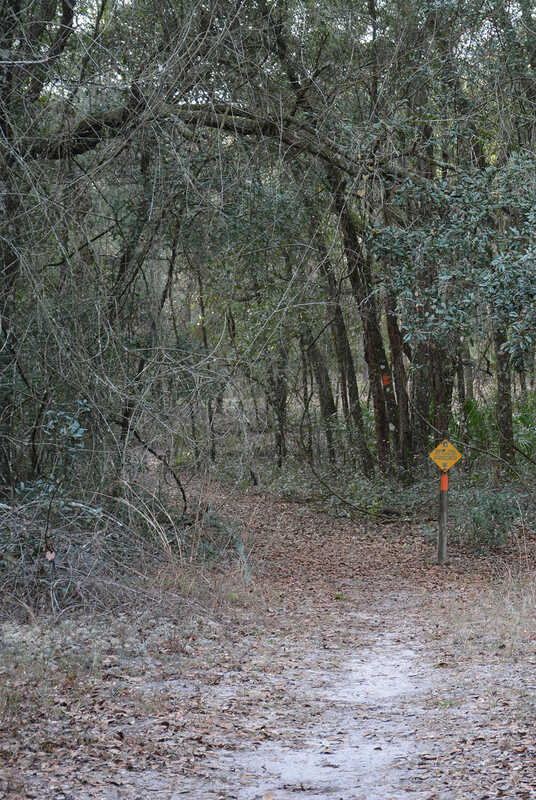 Croom Hiking Trail | Florida Trail Croom | Florida Hikes! Take I-75 exit 301 to SR 50. Drive east 1 mile to Croom-Rital Road and turn left at the traffic light. Follow the road north past the Ridge Manor trailhead and the entrance to Silver Lake Recreation Area, passing under Interstate 75. 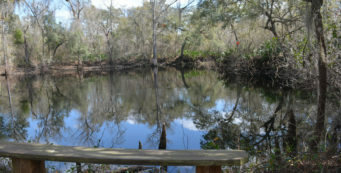 Look for cars parked at the blue-blazed trail crossing along the Withlacoochee State Trail before you reach where the paved trail crosses the road. This is a decent place to park for a day hike, as is the next orange-blazed crossing along Croom Road, not far after the curve. 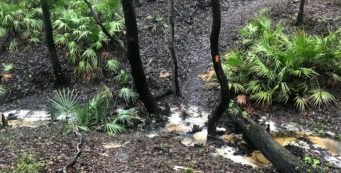 Backpackers should continue up Croom Road to Tucker Hill Recreation Area to leave your car overnight. 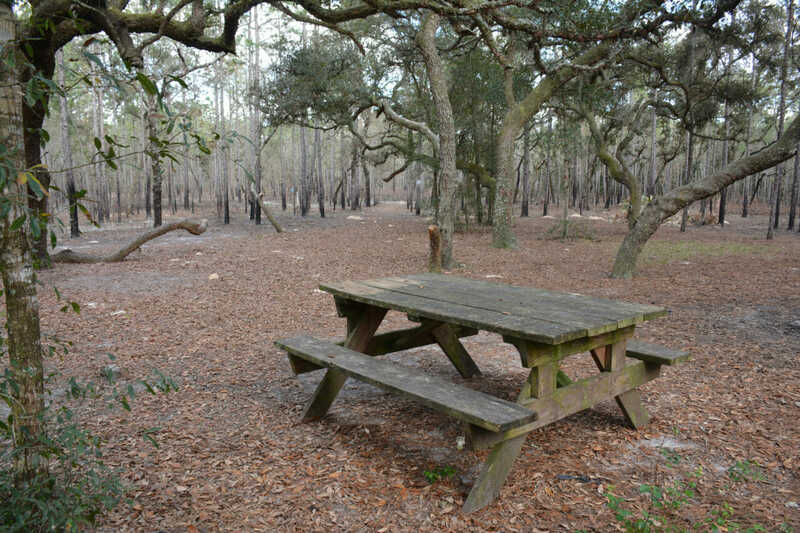 Camping is only permitted in designated campsites. See our guidebook or app for specific locations. 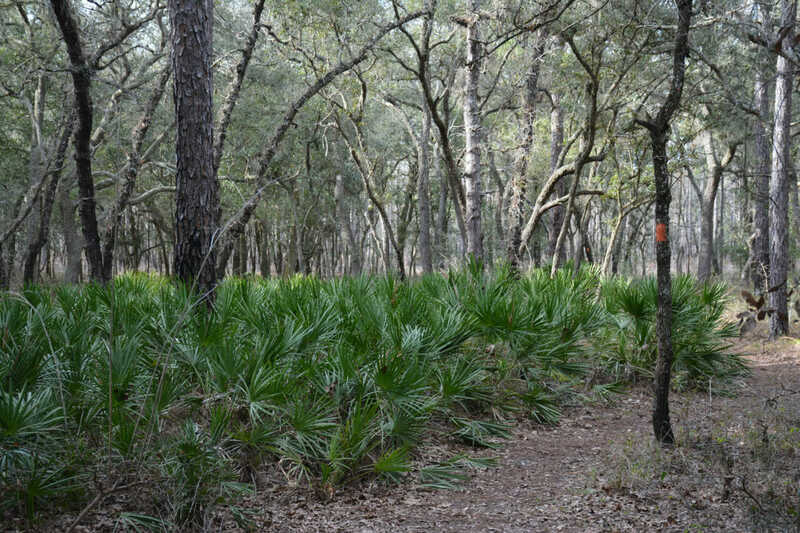 The SWAMP Mountain Bike Club has built an extensive mountain bike system throughout the north end of the forest, which you’ll find yourself crossing and meeting up with at some of the campsites. 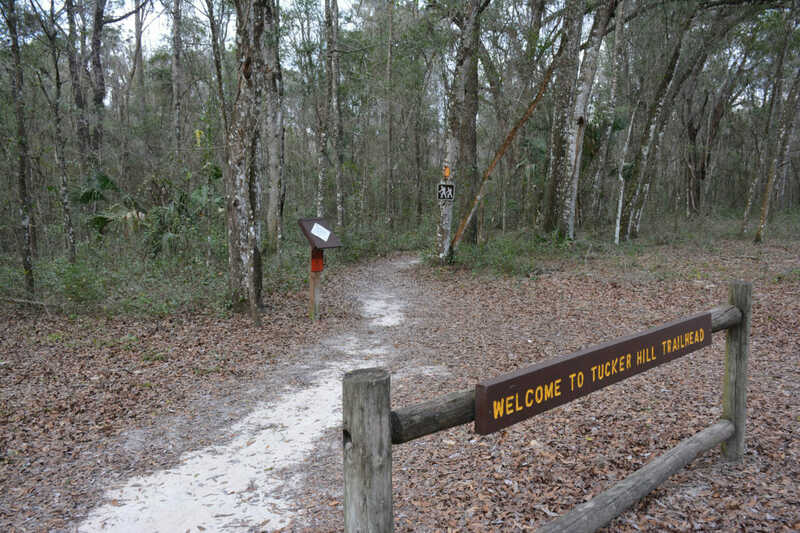 Bikers and hikers should be using separate trail systems, per signage at Tucker Hill. 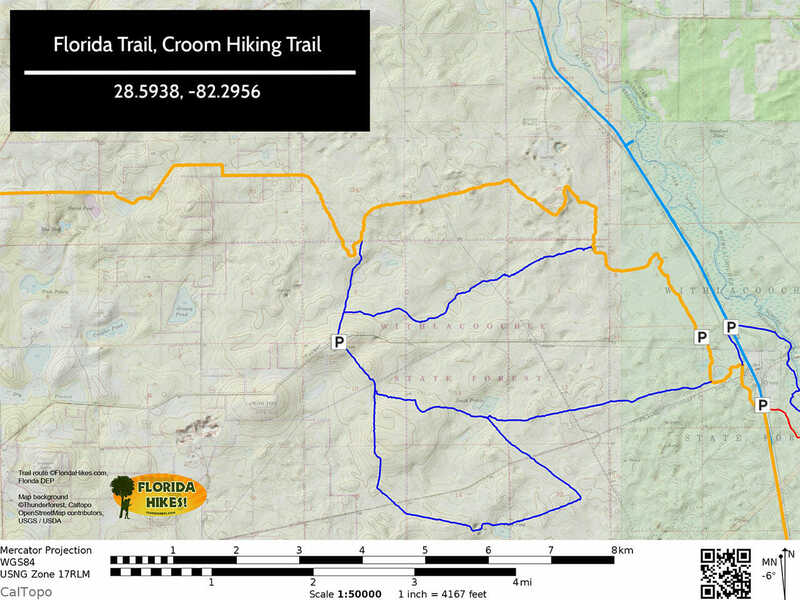 Built in the 1970s to provide a place for backpackers to enjoy an overnighter, the Croom Hiking Trail is made up of three stacked loops: A, B, and C. The thru-portion of the Florida Trail (blazed orange) follows the eastern and northern perimeter. Cross trails are blazed blue, and the rest of the trail system is blazed yellow. 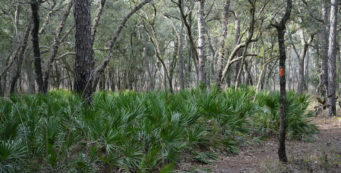 Loop A is part of the Florida State Forests Trailwalker Program. 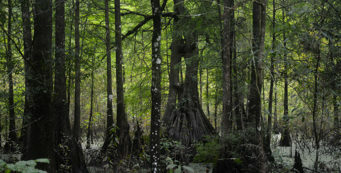 It has the most habitat diversity and elevation changes, showcasing sinkholes and karst outcrops. 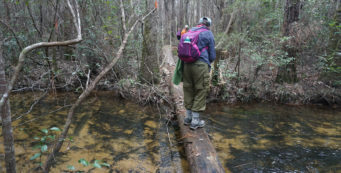 The loop is 7.2 miles but to hike it, add a half-mile out-and-back from Tucker Hill trailhead for a 7.7-mile hike. 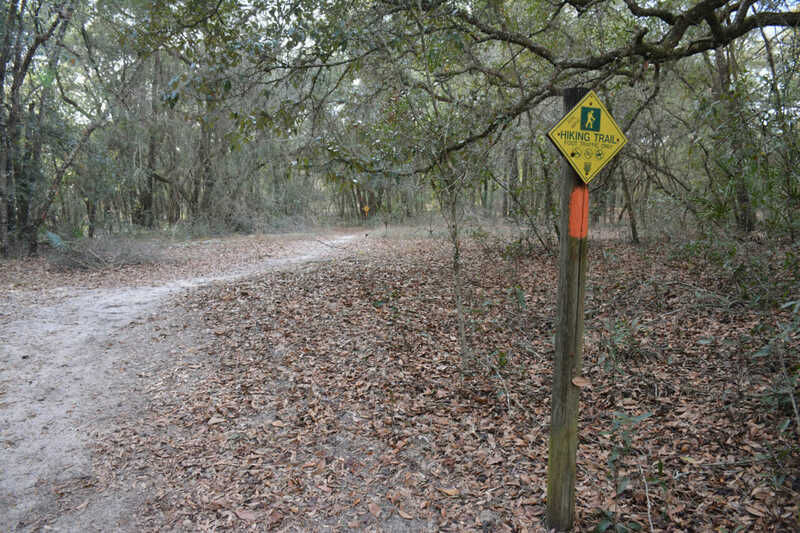 Loop B, the middle loop, is 9.6 miles and has a campsite along it on the eastern side of the loop, a beauty spot under the sand live oaks. Since it is more accessible than the other two loops it tends to be the most popular one for hikers. 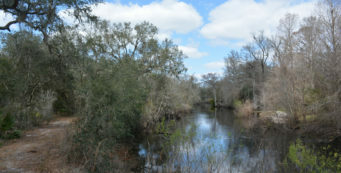 At 5.7 miles, Loop C is the shortest and southernmost, but must be accessed via the west side of Loop B from Tucker Hill for an 6.9-mile balloon hike. 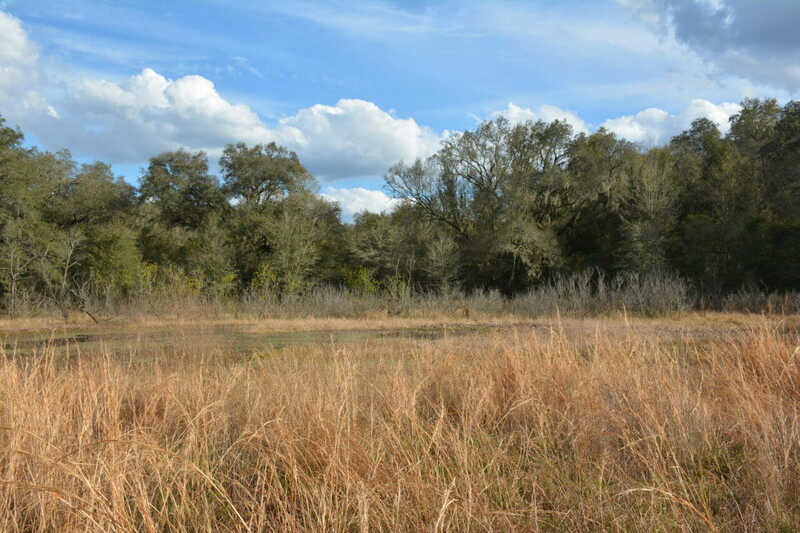 Sandhills are the primary habitat here, which means rolling hills with elevation changes. There is very little in the way of surface water except for a couple of ephemeral ponds in prairies. You should plan to carry enough water with you for the hike, or make sure a stop at Tucker Hill to top off water is in your hike plan.